Celeriac, turnip, Swedish turnip, parsnip, Jerusalem artichoke… so many root vegetables that were once an important part of our daily diet but have now sunk into oblivion. Why were these wonderful vegetables neglected? Firstly, because of urbanization, which has led to the progressive abandonment of vegetable gardens. Next, because of the attraction for exotic vegetables. Finally, because the industry favors vegetables that are graded, good-looking and shiny, but insipid to taste. 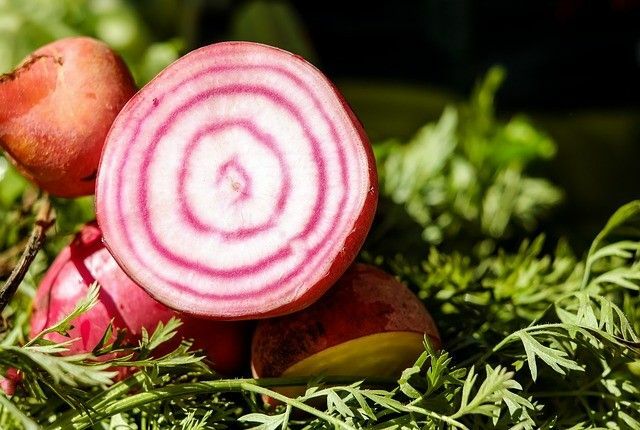 However, root vegetables have already made a remarkable comeback in restaurant menus, because according to all the experts, not only are these vegetables tasty, but they also have a high nutritional value. Moreover, they are cheap and can be found in the grocery stores, all year round. So let us rediscover the ancient flavors, by adding root vegetables to our soups and stews, by roasting them or making them into purées or by simply eating them raw in salads. I am proposing them to you here in 5 different combinations. Happy reunion! Originally published in the Journal de Montréal on August 23, 2008.